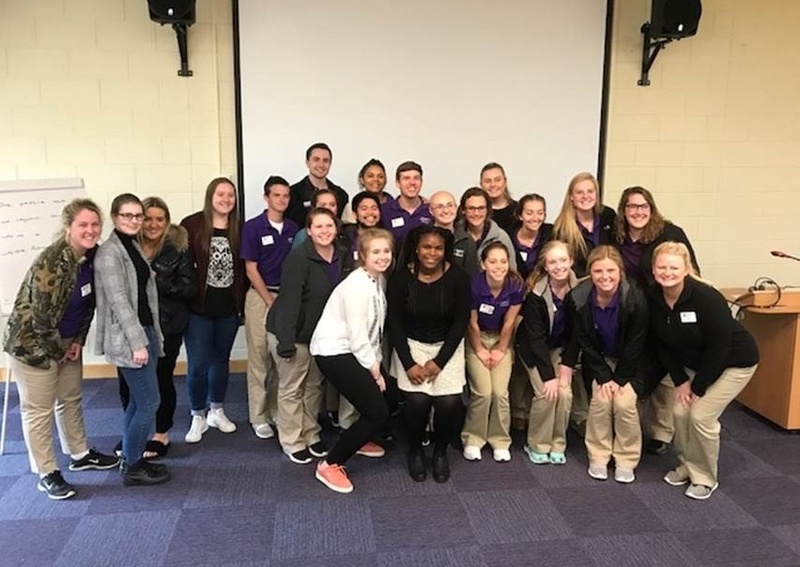 Around 20 fourth year nursing students, who are spending the semester at the UK campus of the University of Evansville, visited to join in discussions with third year BGU Health & Social Care students on Tuesday. 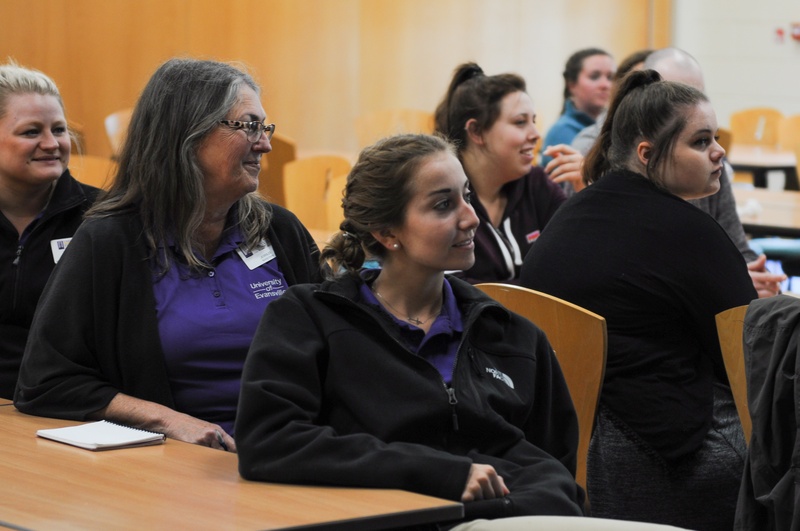 The visit was part of a drive to internationalise the curriculum at BGU and the session enabled students to compare and contrast health care and social care in the UK and USA. The visit came about thanks to Nicki Walsh, Programme Leader for Health & Social Care, who joined BGU earlier in 2017. Nicki said, “I have worked with the University of Evansville for the last 10 years or so before coming to BGU, supporting their teaching and learning around UK healthcare practice. There were discussions on reviewing provision and ethos followed by a seminar session looking at identifying positives and weaknesses in both the UK and USA health and social care systems. There was also the opportunity for general discussion around student life in both the UK and USA. Damian Taylor, third year Health & Social Care student at BGU, said, “The session was great. It gave us the chance to discuss what we were all looking to achieve from our degree. We had interesting discussions about both UK and USA health care, policy and touched on some ideas that would improve the health care systems. “I feel that the session allowed us the opportunity to build contacts for future networking opportunities. We have been offered the opportunity to visit the University of Evansville’s UK campus in Grantham, which is exciting, and I believe that will allow us to build good relationships with each other and the possibility of learning exchange.